Apple's new 2018 iPhone X models, that number a total of three, appear to have leaked in a new photo that shows off the screen front panel for each of the handsets. The leaked 2018 iPhone X front panels come from serial leakster Ben Geskin who calls these the iPhone, iPhone X and iPhone X Plus. These look set to come in the varying sizes of 5.8-inch, 6.1-inch and 6.5-inch respectively. Since these are the sizes that have leaked plenty of times before this leak does hold some weight. As you can see, the screen image has been added in, but the glass front panels are the real-world examples, also available in the original tweet here. The front is very like the iPhone X featuring top-notches and very minimal side and bottom bezels. Previous rumours suggested Apple may not be able to keep the bottom chin bezel to a minimum in the more affordable 6.1-inch LCD unit as this screen type can't be bent. However it looks like a new approach has fixed this issue meaning all three 2018 iPhone models should look identical, from the front at least. Despite that there does appear to be a slightly larger bezel all round on the 6.1-inch LCD iPhone X, but barely noticeably so. All three phones are rumoured to come with new USB-C 18W chargers for super speedy charging – ideal for the larger devices which will likely pack in big batteries. 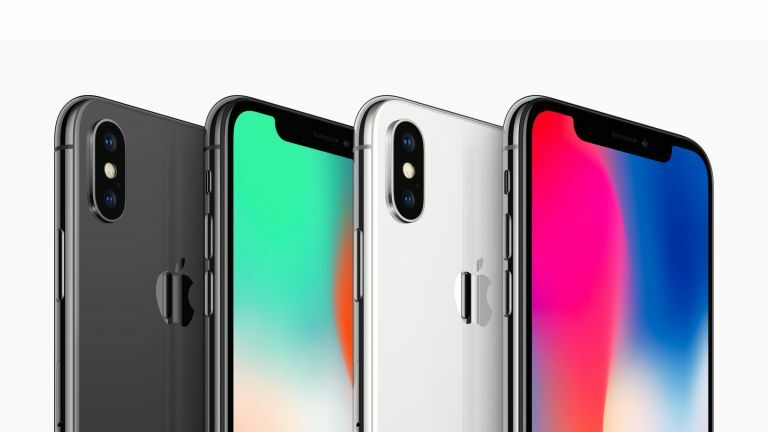 Apple is expected to unveil the three new 2018 iPhone X models in September.